Happy Game of Thrones Day! We finally made it to the final season! It has been an extremely long wait and I have watched all the episodes many times over in preparation! I am so glad to kick off the new season this evening and decided to do some quick dragon inspired nail art. I didn’t have a good dragon scale plate but I did find a reptile type pattern that I felt would work. This plate is from Ejiubas and really didn’t have the best image transfer but works in a pinch. For my dragon inspired mani I started off with one good coat of Fren by Zoya. Next I used Yuna by Zoya and the EJB-04 plate from Ejiubas. Everything is sealed with two coats of HK Girl from Glisten & Glow. Wooot! I was so excited to watch the premiere, and it was well worth the wait! 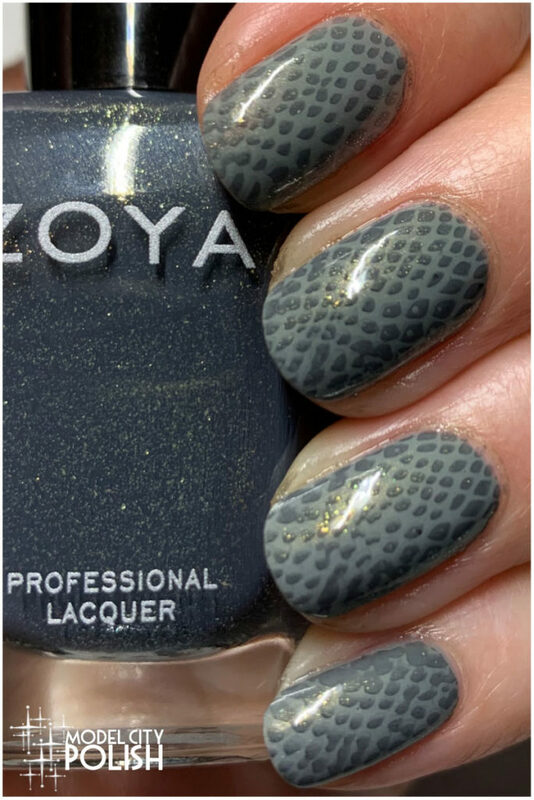 That Zoya really does look like scales! Perfect nails for the season premiere! What did you think?